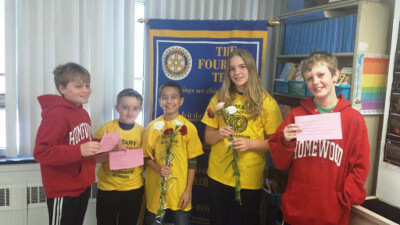 Flossmoor School District 161 this week honored students who excelled at chess, geography and spelling. The students were recognized for their achievements during Monday’s Board of Education meeting. The Village of Homewood honored 10 firefighters Tuesday at the board of trustees meeting for efforts above the call of duty in the past year and a half. Depression-era Little Orphan Annie will find a happy ending when the Hart Drama Club stages the musical “Annie Jr.” on March 19, 20 and 21 at James Hart Junior High. Green Thumb Saturdays series is back. The Homewood Tree Committee is again hosting its series of gardening presentations starting Saturday, March 14. The series runs through Oct. 10. PARCC-wise, it’s “so far, so good” in Flossmoor School District 161. Students in grades three through five started taking the new state-mandated exam on Feb. 25 and testing, so far, has gone smoothly, Superintendent Craig Doster said at Monday’s Board of Education meeting. Four retiring teachers will not be replaced in Flossmoor District 161 next year and nine bus routes may face the budget ax as school officials look to the 2015-16 fiscal year. "Music from the Backyard & Front Porch," a show featuring American songs performed by Lauren Pelon using a wide array of instruments, will be presented at 6 p.m. March 24 at the Homewood Public Library, 17917 Dixie Highway.